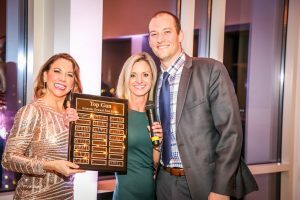 (HUNTSVILLE, AL January 30, 2018) Amanda Howard Real Estate™ celebrated their 2017 sales achievements and team culture awards on Friday, January 19, at “The Top,” an intimate venue overlooking Big Spring Park in downtown Huntsville. Guests were met with elegance as signature blue champagne was served to pair with specialty charcuterie boards. 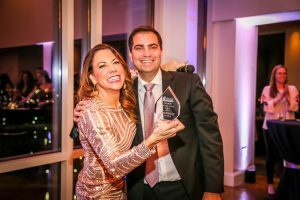 The atmosphere was one of togetherness and excitement, as the entire team was proud to spend an evening celebrating each other’s exceptional work. 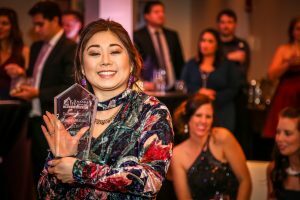 “It’s always special to see everyone come together one night out of the year, away from distractions and dressed in their finest, to reflect on and enjoy all of the achievements we’ve made,” Amanda Howard said. Adam Stults, Allie Wright, Glinda Clardy, Jessica Young, Michelle Daymond, Natsuki Tani Whisenant, Club Grand Members. sed at just above $13 million. Natsuki Tani Whisenant, Top Buyer Specialist with Most Transactions Closed at 41 families served and Dollar Volume Closed at just under $8 million. Ianni Nicolaou, Rookie of the Year with 28 families served and $4.8 million in transactions closed. Corey Baker, Most Outstanding Client Care Coordinator. Roseanna Keefer, Outstanding Team Culture. 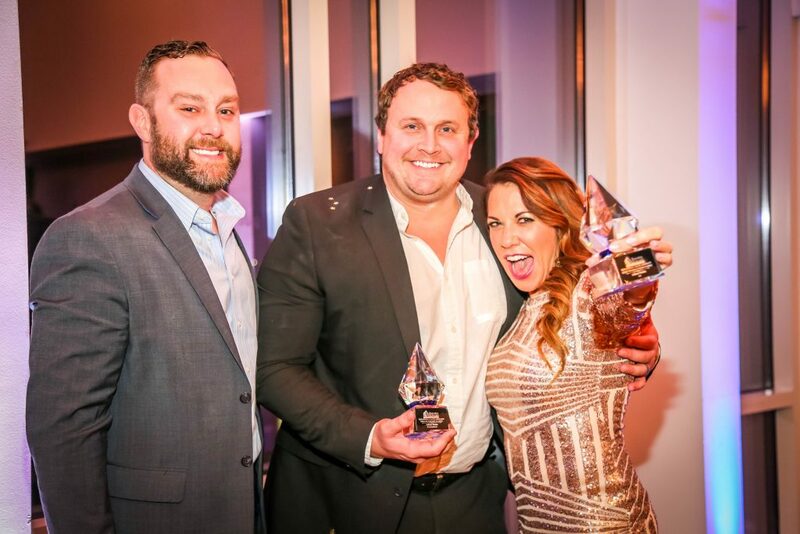 Adam Stults, Jessica Young, Michelle Daymond, Platinum Volume Producers with $10 Million or More in Dollar Volume Closed. Glinda Clardy, Allie Wright, Cindy Luna, Gold Volume Producers with $8 Million or More in Dollar Volume Closed. Natsuki Tani Whisenant, Meg Eldridge, Silver Volume Producers with $6 million or More in Dollar Volume Closed. Whitney Stringer, Natalie Jones, Ianni Nicolaou, Evan Davis, Candace Claburn, Brooke Robbins, Amanda Power, Bronze Volume Producers with $4 Million or More in Dollar Volume Closed. About Amanda Howard Real Estate™ – Amanda Howard Real Estate™ is a licensed member of the North Alabama Board of Realtors® and the National Association of Realtors®. Servicing Huntsville, Madison, Lake Guntersville, Birmingham, AL and Jupiter FL areas, Amanda Howard Real Estate™ provides the highest quality, most innovative and exceptional real estate service available. Please call 256-799-9000 or visit AmandaHoward.com for more information. Amanda Howard Real Estate’s corporate office is located at 3005 L&N Drive, Suite 1, Huntsville, AL 35801.